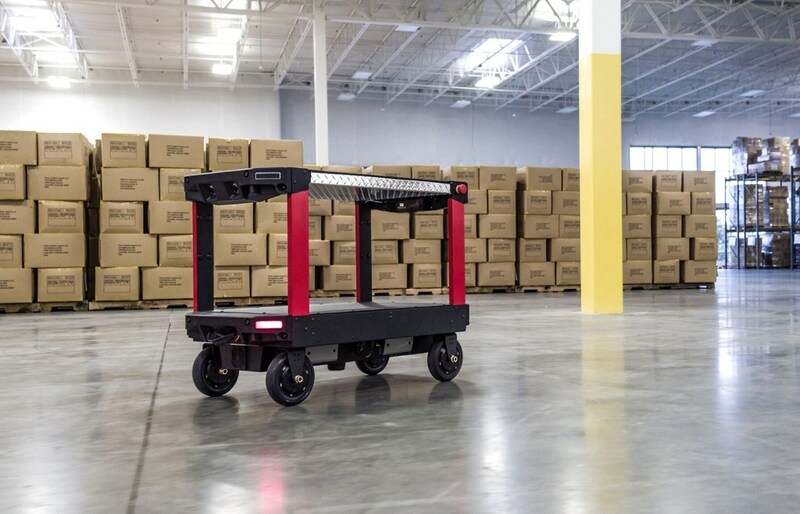 Adding another important piece to Amazon Robotics’ growing portfolio of fulfillment centre machines, the Canvas fully autonomous cart will help Amazon increase delivery efficiency through robotic warehouse automation. According to the Canvas Technology LinkedIn site, their leadership team comes from a rich background of autonomous robotics at Google, Toyota, Qualcomm, General Atomics and Kiva Systems (now Amazon Robotics). Founded in 2015, Canvas has already showcased some impressive technologies, including a fully autonomous cart system that positions the startup as a direct competitor with the likes of Bay Area-based Fetch. The Canvas Autonomous Cart was on display at Playground’s open house roughly this time last year, doing an impressive job avoiding people and obstacles in the crowded space. The system utilises 3D imaging and an in-house software solution that can be applied to other hardware – essentially operating like a self-driving car in a warehouse setting.